Open source is the antithesis of proprietary software. Itâ€™s the free lovinâ€™ hippie amid a sea of corporate profiteers. 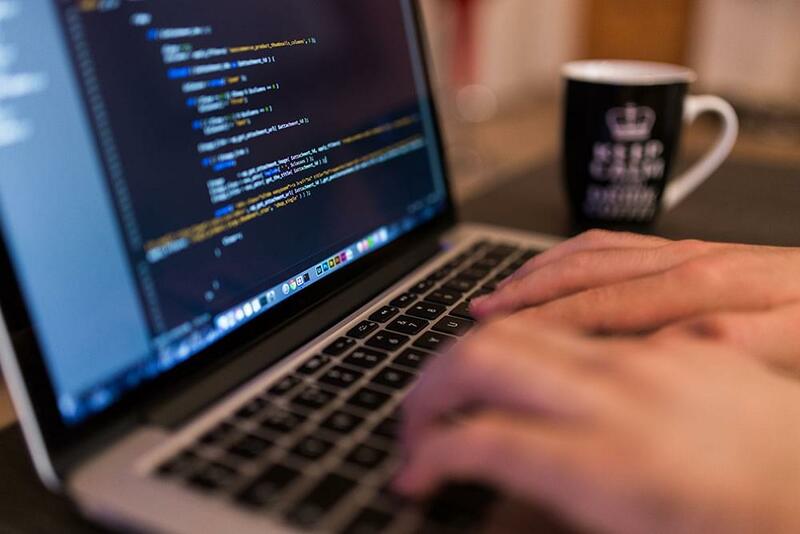 Defined as software for which the source code is freely available to view, modify, and redistribute, open source software has benefited hardened coders and layman consumers alike. But just because itâ€™s free doesnâ€™t mean profit-driven companies canâ€™t use open source to their advantage. Here are five ways your company can benefit from contributing to open source. While youâ€™ll certainly need programmers to build the initial software, once the code is made public, you can rely on the wisdom of the crowd for debugging and improvements. The open source community â€” many of whom can be found at GitHub â€” is massive, far-reaching, and perhaps most importantly, active. They are programmers committed to their craft, and strive to see new software reach its full potential. So if your company releases a promising piece of open source software, you may not need to hire programmers for future improvements. The more attention it gets, the more youâ€™ll start seeing free contributions. And if things really take off, the inertia youâ€™ll gain may surpass that of any in-house effort. If your company makes a piece of software freely available to the public, chances are more users are going to see it, use it, and share it. Now, the software has to be good, or at least adequate, to gain any real traction, but if it is, awareness will spread and your brand name will benefit. More eyes on your open source software means more eyes on your company, and if people like the software, theyâ€™ll (hopefully) associate your brand with value, customer appreciation, gratification, and goodwill initiatives. Say your company sells server hardware. That, of course, is where youâ€™ll make the bulk of your money, but what if you decide to create an open source operating system along with it? Now, potential buyers wonâ€™t have to spend money on an operating system of their own, which frees them up to spend more money on server hardware. This is how your open source software can support your core product. It not only lures in customers, but by allowing them to save money on one thing, theyâ€™re able, and encouraged, to spend money on another. Finding developers is easy; finding good developers takes a little more effort. But hereâ€™s the thing about good developers: They understand the value of open source software, because it makes their lives easier. Therefore, open source software can sweeten the pot for potential hires. Developers who are considering joining a new team often like to know about the kind of code that team produces. By open sourcing your companyâ€™s code, developers have the ability to dig in and decide for themselves if this style and environment appeals to them. That way, the developers who do apply are more likely to be a good match, as they are self-selected. Furthermore, if you can build an open source community around your software, you can hire people straight from your contributor pool. That way, you know who youâ€™re dealing with, they know who theyâ€™re dealing with, and you can cut down onboarding times. If your company doesnâ€™t have the money, time, resources, or skills to develop comprehensive, proprietary software, building a solid, open foundation from the get-go helps you fortify yourself from future maintenance and development costs. Hereâ€™s a real world example: Many consider Linux superior to Windows, especially on any machine that isnâ€™t a desktop or laptop computer. Itâ€™s more stable, secure, versatile, and modifiable. So what is Windows to do? Well, they can either waste millions of dollars retooling the operating system to make it more competitive, or they can spend a fraction of that to support the open standard, which is already in place, and ensure it is compatible with their software. This way, if Microsoft starts moving into a business dominated by Linux (cloud computing, for example), they could hitch their wagon to the Linux ecosystem. The benefit isnâ€™t in profits, but in costs saved. And as long as people are using Microsoft products and sending them their data, Microsoft is happy. Contributing to open source might not initially strike profit-driven companies as a smart play. Itâ€™s free. It can be distributed. It can be modified. Whereâ€™s the ownership? Whereâ€™s the sales? But if you look beyond immediate gratification, youâ€™ll see that open source can benefit companies in many ways. It attracts free labor and free publicity. It can serve as a supporting act for your core product. It makes it easier to hire good, trustworthy developers, and it helps build a solid foundation for long-term success. Thereâ€™s a reason why Microsoft is in love with Linux.